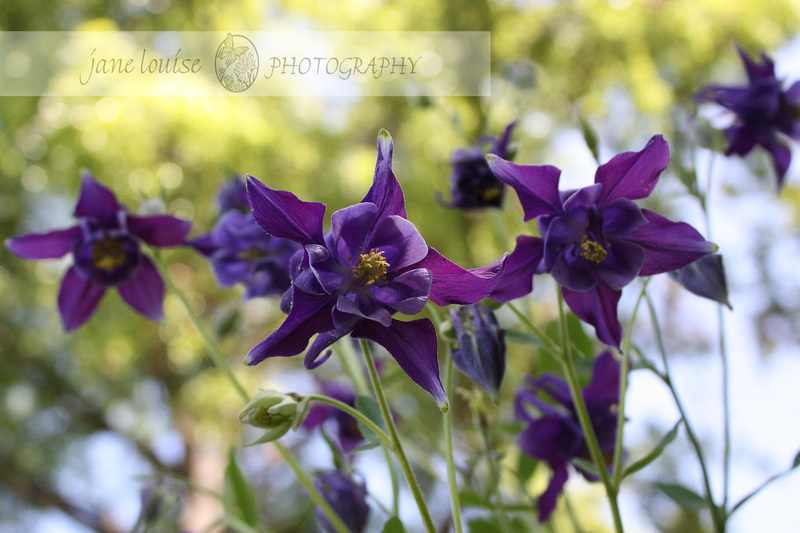 The Columbine plant in my garden is blooming its heart out, and these deep purple flowers have lasted nearly three weeks now! How I love spring’s blooms! Blooms in my Spring 2012 garden are constant joys and surprises from God! 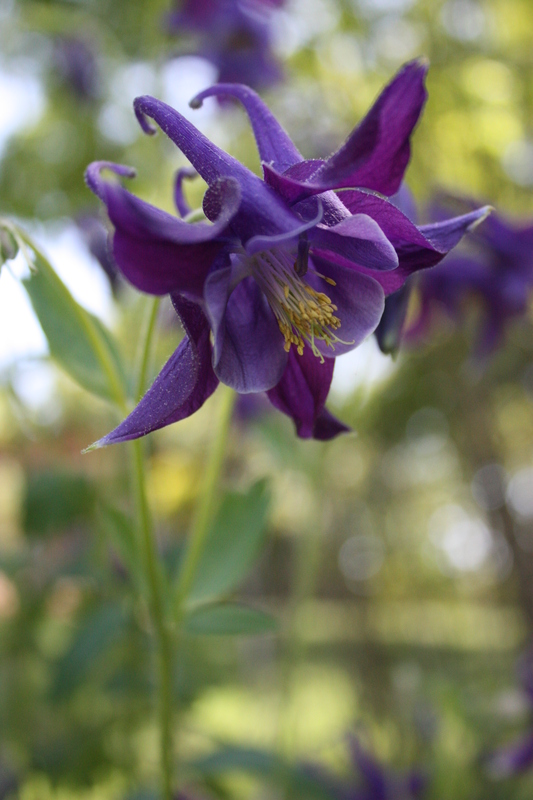 The deep purple bloom shapes remind me of majestic trumpets, sounding triumphant praises throughout creation. The day of resurrection! Earth, tell it out abroad, the passover of gladness, the passover of God. From death to life eternal, from sin’s dominion free, our Christ has brought us over with hymns of victory. Now let the heav’ns be joyful, let earth its song begin, let all the world keep triumph and all that is therin. Let all things, seen and unseen, their notes of gladness blend; for Christ the Lord has risen, our joy that has no end. Joy in our risen Lord Jesus! This entry was posted in Floral, Landscape and tagged Columbine Blooms, Flowers, Landscape, natural light, Snapshots of daily life, Spring, St Louis area photographer of families and children. Bookmark the permalink.